PLEASE COME AND SUPPORT THE PROMOTION OF URBAN AGRICULTURE IN OUR DFW COMMUNITY! If you've been thinking about joining Loving Garland Green. . . If you've been thinking about growing a few edibles at your own home. . . If you would like to have just a little bit more control over your life and have been wondering how sustainable might feel. . . If you have been wondering what some of us might look like. . . If you love to look at what other people call "junk". . . If you want to talk with some interesting folks. . .
AND for just about any other reason under the sun. . .
COME ON TO OUR YARD SALE. WE WOULD LOVE TO MEET YOU and talk garden. DIY - People are the disrupters, not technology. DIY and enthusiasm for the future is the young man in the middle of the photo--not the yellow machine in the foreground. Technology is only a tool. Some mistake it for the essence, but they are wrong. People are the essence. We are the change agents—not our tools. The only thing I would change about the DIY movement is the name. Instead of “Do It Yourself” the name should more accurately be “Do It Ourselves” DIO. We so rarely do anything without help and assistance from others. The current DIY movement with its makerspaces is as much a social event as anything else—a coming together of people united by a diversity of purposes and tools (not one tool, but many and not all of them are digital—but all are aimed at creating a better world. DIY is not a new concept. It’s a concept that has been at the heart of the American experience for several hundred years. Many American pioneers would have gone naked had they not embraced the DIY concept. Several hundred years ago we would see looms by the hearths of many American homes. Not only did the lady of the house make the clothes for her family, she often wove the fabric from sheep she raised. No doubt in the future the lady of the house will make some of the clothing for her family using a 3-D printer. It’s still the same basic concept of the home as a makerspace where people create stuff they actually need instead of consuming stuff that marketers tell them they need. 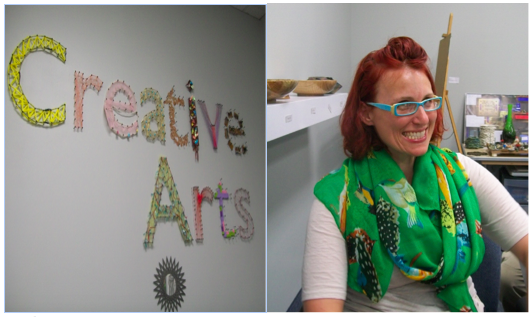 If you visit, you'll see the magic of the Dallas Makerspace is neither the space nor the tools—although the tools are many and fabulous. The people are the magic happening at the Dallas Makerspace—the people who share their knowledge and expertise with others. And it’s also the people who come there to learn because the pupil always adds to wisdom of the teacher by bringing new possibilities with them from their own unique life experience—possibilities the teacher is not even able to dream of. The teacher/pupil relationship is mutually beneficial. The Resurrection of DIY is forefront on the American scene. It’s no accident. The need for DIY arose like a phoenix in October of 2008 when those elected to serve us sold our very economy to wealthy financiers and bankers so they could continue to gamble on global markets sustained by slave labor with no concern for the environment. However, it has taken Americans a few years to fully realize to the extent we and most people in the world have been sold out by the few. Now and at least for the past three years I think that most of us on Main Street are beginning to realize the extent of the theft that occurred almost seven years ago. Most of us realize that no real hope will be forthcoming at a national or even at a state level. Thus the DIY quest continues to mushroom. Meet DIY Salman Khan who founded a multimillion dollar nonprofit Kahn Academy--a free school. Now we have DIY education. Khan Academy offers practice exercises, instructional videos, and a personalized learning dashboard that empower learners to study at their own pace in and outside of the classroom. Students can tackle math, science, computer programming, history, art history, economics, and more. Math missions guide learners from kindergarten to calculus using state-of-the-art, adaptive technology that identifies strengths and learning gaps. Kahn Academy has also partnered with institutions like NASA, The Museum of Modern Art, The California Academy of Sciences, and MIT to offer specialized content. This spring, Stanford Consulting - a nonprofit, student-run organization - ran a survey to learn about the impact that Khan Academy has had on the educations of current college students. These students were asked whether they “found Khan Academy meaningful to their education” and whether they were the first in their family to go to college. The results are in, and today we’re excited to share some of the key findings. This morning I watched a taped interview from April on Overhead with Evan Smith on KERA. The program was devoted to an interview with Sal Khan, founder of Khan Academy. Watch it and you’ll like it. Very interesting. Very hopeful for the future. Very powerful. You’ll find out why they have 15 million registered users. Who knows? Perhaps, like me, you’ll become one too. By the way, Mr. Khan is not suggesting the Internet learning experience replace the real world experience of the teacher and the pupil. He is suggesting that it be used to enhance the learning experience. We hear the same babble today regarding digital fabrication—the ability to program in the physical world—not just the virtual world—the ability to use computer programming/software to create and manufacture products, objects, even food that we can eat. In the future, factories will be downsized to local institutions such as libraries and even to bedrooms and offices in our homes. That’s right. We will make a lot of the stuff we use today and the stuff we can’t make at home we will make in community centers. That’s the future. The global sweatshops and factories may become things of the past. This technological shift has some real implications for local. 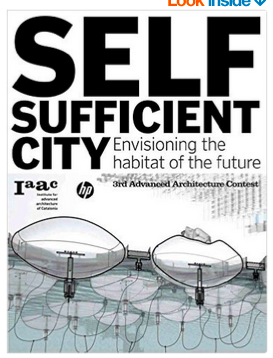 Our cities will become much more self-sufficient. This technological shift has some real implications for permaculture principles and learning from nature’s designs. Many of the materials used to make our “stuff” of the future will be from recycled materials—even plastics. Cities, like Barcelona, are already preparing for the future by establishing FabLabs all over their city. Even though digital fabrication had its birthplace back in the 1980s at MIT, this technology seems to be more deeply rooted and making faster advances now in Europe than here in the USA. Almost daily now, literature, such as Makerspaces in Libraries, is rolling off the shelves of bookstores to help us move this revolution along. We will get there fast. 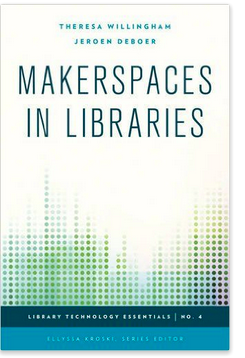 Although disappointed this book written by Theresa Willingham and Jeroen de Boer isn’t available now, I’m happy to see that “Makerspaces in Libraries” will arrive on August 16, 2015. This is just the shot in the arm that our libraries need to pull them into the forefront of the 21st century as places where people come to learn. Our libraries will now have a social aspect that has been missing from their stacks and rows of books from day one. Remember those days of “Shhhhhhhh, quiet please?” Until recently, learning and acquiring knowledge has been more or less an isolated, solitary, individual pursuit and not a social experience. Now, however, all that is changing. Makerspaces, sometimes also referred to as hackerspaces, hackspaces, and fablabs are creative, DIY spaces where people can gather to create, invent, and learn--together. Learning is now a social event, a collaborative effort. 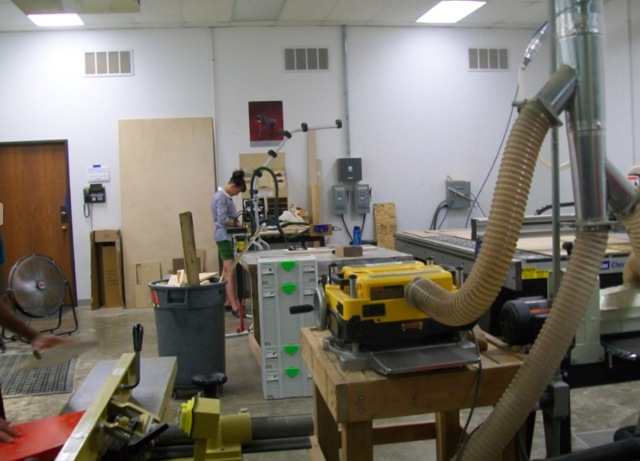 If someone is looking for an investment—they might consider creating a FABLAB space. I’m sure our future will be filled with them all over our communities—not just our libraries. Makerspaces are becoming increasingly popular in both public and academic libraries as a new way to engage patrons and add value to traditional library services. 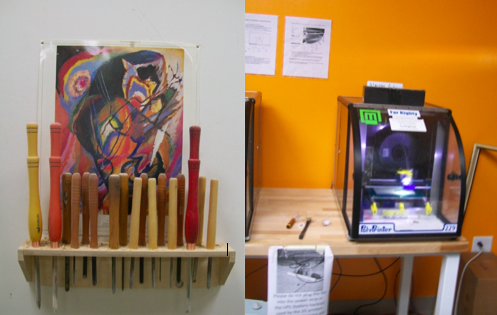 Some libraries now have 3D printers, software, electronics, craft and hardware supplies and tools, and more. I know that at least one school library in Garland, Texas (Watson Tech) that has a maker space. And the reports I get all tell me this space is incredibly popular with the students. This book promises to show us how to create a makerspace within the library though a step-by-step process. From planning the innovation center to hosting hack-a-thons, guest lectures, and social events in our new lab, Makerspaces in Libraries promises to provide detailed guidance and best practices for creating an enduring, community driven space for all to enjoy and from which both staff and patrons will benefit. “The process of writing Makerspaces in Libraries with Jeroen De Boer, of Frysklab in the Netherlands, was exciting and reassuring. The time is clearly ripe now, for libraries to take their rightful place at the heart of our communities as 21st century centers of skills and knowledge development. Makerspaces are central to the revitalization of libraries, and thriving communities. For maximum sustainability and measurable impact,though, those spaces need to be developed intelligently and thoughtfully, from the ground up in a way that leverages the interest and support of all stakeholders. 1. Read Makerspace in Libraries when it is released on August 16. 2. Read Arduino Cookbook – Michael Margolis This cookbook is perfect for anyone who wants to experiment with the popular Arduino microcontroller and programming environment. Arduino is an open-source computer hardware and software company, project and user community that designs and manufactures microcontroller -based kits for building digital devices and interactive objects that can sense and control the physical world. 3. Attend a Maker Faire. Meet the people who are already putting the concept of digital fabrication in action. See some of the things they have made. 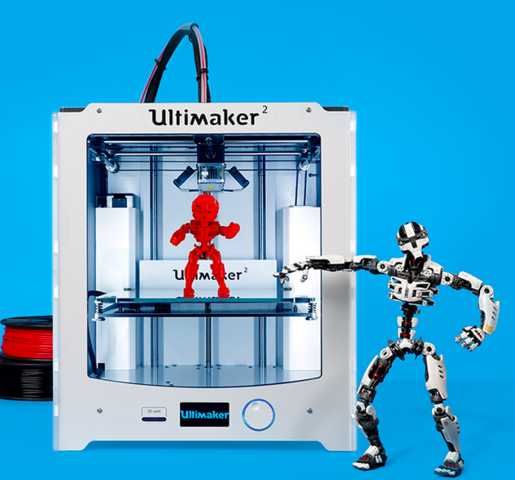 The 2015 Maker Manual is now online. You can find a copy here. Read it to better understand what you will be able to see at the faire. All makers are responsible for reading this document and being familiar with its contents. Be sure to carefully review the new Maker Check-In information, as there are changes for 2015. Detroit is about 17 hours away from the DFW area. This is one of the large Maker Faires in the USA. This one will be especially informative as visitors can also see the role that permaculture principles and urban agriculture are playing out in the recovery of the local economy. This event will showcase 150 makers. The 2015 Tulsa Mini Maker Faire offers the opportunity for us to see ourselves as more than consumers; we are productive; we are creative. Everyone is a maker and our world is what we make it. Fabrication Labs (Fab Labs) are cropping up all over the world. The Future is here now and it remains to be seen what we will do with it. Before personal computers no one could afford a computer. First of all, most of us had neither the room in our homes nor could afford the electricity to run one. Then, on top of those two drawbacks there was the technical expertise needed to use a computer to perform its intended functions. With the advent of the personal computer and then with the WWW interface, the Internet became as accessible as a magazine to the world and put a great technical tool in the hands of the masses. That paradigm shift was of the same magnitude as the invention of the printing press by Johannes Gutenberg, around 1440. With the printing press came the Age of Enlightenment and the Scientific Revolution. The Catholic Church lost its control of knowledge and “education” of the masses. A new technological revolution has arrived. We can now program/digitize the physical world. Up until now programmers have manipulated only within the realm of the virtual world. Now they can develop programs that will allow people to design and produce objects on demand whenever and wherever they need them. 3-D printing is at the heart of digital fabrication and it has been around since the 1980s, but not widely available to the public. 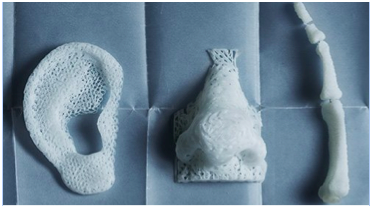 Today, a wide range of 3-D printing processes is available and many business use 3-D printers to create prototypes. Medical research groups are even using 3-D printers to build cellular structures for the purpose of creating live body organs. (Ultimaker, RepRap, MakerBot, PopFab). These sell for thousands of dollars assembled, but they can be purchased for hundreds of dollars as parts. Integrated personal digital fabricators (comparable to the personal computer) will soon be introduced into the economy—then watch the change. A design you create on your personal fab lab can be sent electronically to any fab-lab in world for on-demand production. 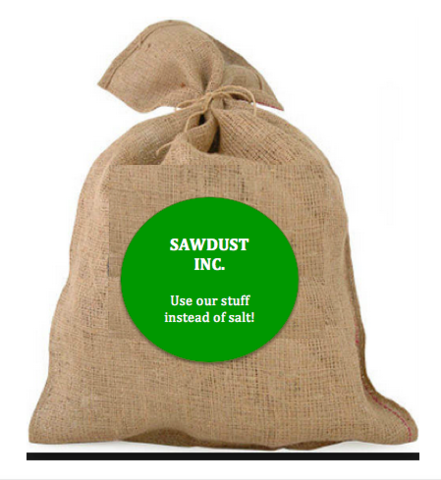 This eliminates the cost of shipping, and the means of production can be owned by anyone. Cities with savvy are taking advantage of the coming fab lab revolution before it fully arrives. Vincente Guallart, chief architect of Barcelona (also author of The Self-Sufficient City) is leading efforts to build Fab Labs all over Barcelona. His goal is to globally connect the city for knowledge but to make them self-sufficient for what they produce and consume. 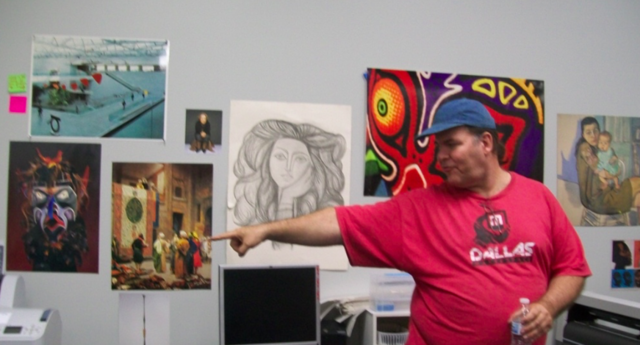 As mentioned in a previous article I wrote, the City of Detroit Michigan has its FAB LAB, Incite Focus. AS FOR MY OWN LOCAL ENVIRONMENT OF GARLAND TEXAS: Let’s get started on creating the Walkable Main Street Village! I hope that leadership and citizens alike will awaken to the potential that a new and different type of sustainable, self-sufficient development, such as that proposed by the Walkable Main Street Village, offers to the residents of our city. We can follow the innovative examples of Barcelona and Detroit and begin now to create a truly sustainable and self-sufficient city. Explore a growing body of knowledge about an exciting ongoing project to create a plan for building a vibrant sustainable mixed-use neighborhood! Send your ideas to Douglas Athas, Mayor of Garland Texas. ADDED NOTE: Will this new technology be able to create edibles? I don’t know—possibly. I would think so if experiments to create living organs are being undertaken in some Fab Labs. However, regardless the extent to which we are able to produce food, that knowledge comes from nature—the ultimate professor. Thus, I think it will always behoove us to maintain an ongoing relationship with the balance and wonderful lessons that we can learn just from observation of nature in action. In fact, Incite Focus, a Fab Lab shop in Detroit, is moving forward with its design efforts closely in sync with permaculture principles. Perhaps it will be possible to use our Fab Labs to figure out how best to clean up our environment—and easily and inexpensively remove some of the damage we have done with our old ways of manufacturing and retail marketing. Make Magazine assists independent event organizers in producing small-scale Maker Faire events in local communities. 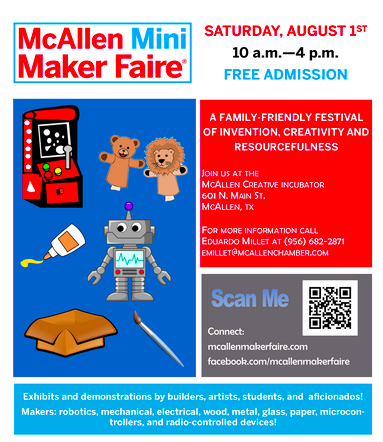 The Magazine calls independently-organized events "Mini Maker Faires." Community-driven Mini Maker Faires have sprouted up around the United States. Maker Faires are a groundswell of the people's response to the lack of solutions forthcoming from leadership of corporations and local government who seem to still be so enamored with global markets offered by Wall Street they can't see the opportunities right where they live. Make Magazine is the first magazine devoted entirely to Do-It-Yourself (DIY) projects. It unites, inspires and informs a growing community of resourceful people who undertake amazing projects in their backyards, basements and garages. Make celebrates your right to make, bend, tweak, hack any technology to your will. The original Maker Faire event was held in San Mateo, CA and in 2014 celebrated its ninth annual show with some 1100 makers and 130,000 people in attendance. (Note: the San Mateo Maker Faire for 2015 is over. It was held on May 16 and 17.) World Maker Faire New York, the other flagship event, has grown in four years to 600+ makers and 80,000 attendees. Detroit, Kansas City, Atlanta, Milwaukee, Orlando, Silver Spring, Paris, Rome, Oslo, Trondheim, Tokyo, Newcastle (UK), and Shenzhen are the home of larger-scale, “featured” Maker Faires and over 120 community-driven, independently organized Mini Maker Faires are now being produced around the United States and the world. Maker Faires are a groundswell of the people's response to the lack of responsiveness and imagination from large, sluggish, bureaucratic multinational corporations who lost their ability to respond to current needs of people and the environment decades ago and are now dragging our economy down into the tarpit with them. Upcoming 2015 Maker Faires - If you don't have the time or money to see the one in Detroit, there are two coming up within the next two months within driving distance for Texans. Note: Several maker spaces are proposed for the Walkable Main Street Village. It should also be noted that at least one of our public schools here in Garland, Watson Tech, already has a maker space for its students. Explore a growing body of knowledge about an exciting ongoing project to create a plan for building a vibrant sustainable mixed-use neighborhood! The Walkable Main Street Village right near downtown Garland. VIEW THIS VIDEO ON A MEDICAL MCGIVER WHO CREATES MEDICAL TOOLS FROM TOYS. If you want more freedom: grow some of the food you eat and you will get it. If you want to lift up and stabilize a local economy, then support and promote urban agriculture—particularly through education in the schools because children lead and influence their parents and the future. It seems that an urban community must be in the direst of straits before its people will turn to urban agriculture and sustainable living as a solution for their local economy. The “nothing left to lose” local economy of Detroit Michigan is one of the most outstanding examples. Of all the American cities, Detroit is the one that has been hardest hit by the financial downturn of the 21st century and the mismanagement by its local leaders. And today, Detroit has the most successful urban agriculture projects and examples of upcoming urban agricultural entrepreneurship than any other city in the nation. Perhaps residents in an urban area must wait until the last deck chair holding the empty promises of chain store retail renewal has slid off the deck of their local economy before they will seriously turn to urban agriculture. Perhaps there is some turning point in all the unfulfilled promises of the global economy when people wake up. However, if Detroit is any indication, that point will not come until the local infrastructure is COMPLETELY broken--shredded beyond any resemblance to its former self and the city coffers have been emptied. When there is no other possible solution on the horizon, perhaps then people will look to urban agriculture. These are the kinds of visionary people we should be talking with--not traditional retail/commercial developers. All we are going to get from those people is more of them same--and we can't afford that. We need to start having conversations that will bring results, not more empty promises. After college Pashon worked for a while in corporate America before embarking on a career of advocacy. Pashon has lobbied for Repower America, the National Wildlife Federation, and the Sierra Club. In 2009 she met Greg Willerer, a pioneer of urban farming in Detroit. 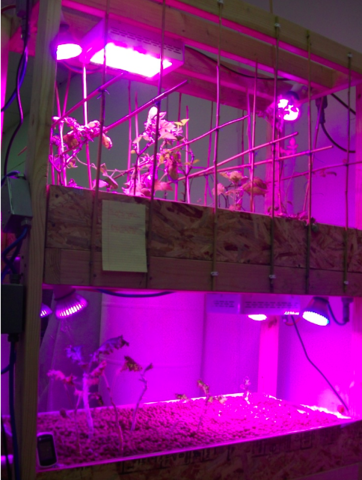 Willerer wanted to grow food locally and Murray wanted to reduce waste. Together they launched Detroit Dirt. They rallied local restaurants and grocery stores to set aside their scraps. Each month Detroit Dirt picks up 25,000 pounds. Today they are creating a line of composting products. Blair Evans – Founder of “Incite Focus” a platform for community production which demonstrates the revolutionary potential of applying permaculture principles in the context of Detroit’s DIY maker culture. NOTE: I would like to see such a lab established within the Walkable Main Street Village. Permaculture is an approach to systems design with deep roots in agriculture, but with implications for just about everything. By observing self-sustaining ecosystems of the natural world, we can design systems of our own. An example of this type of systems design in action is the invention of Velcro. George de Mestral, a Swiss engineer, in the 1940's while hunting in the Jura Mountains realized that the tiny hooks of the cockle-burs were stuck on his pants and in his dog's fur and wondered how they attached themselves . . .
Incite Focus is a world-recognized, state-of-the-art production and training lab focused on the relationships between digital fabrication, permaculture, experiential learning, and appropriate technology. It is a key fabrication lab to combine these four areas of interest, which provides a holistic approach to sustainable community building. Incite Focus serves a community of thinkers and doers from students as young as 14 years of age, to young adults, to the neighborhood community group. It is a collaborative learning space where concepts and ideas are realized through technologies that give its users the capacity to create personal, household, community, commercial and industrial products using best-practices. Blair offers a glimpse of what is possible when a balance between consumption and production, between needs and wants, between individual and community is maintained. According to him, this all comes down to creating an environment and cultural context in which people are able to truly maximize their capacity as people. According to him: “In permaculture you are not a slave to the process. You are a participant in the process. “ Inspired by the close study of nature, pursuits of designing, making, growing, community building and imagining new and better futures are all possible. If you want to learn more about it and even add to the plans yourself, take a look at some of the related documents in this Document Directory. Then send your ideas to Mayor Douglas Athas of Garland Texas. Explore a growing body of knowledge about an exciting ongoing project to create a plan for building a vibrant sustainable mixed-use neighborhood! What We Don't Need Is More Retail Sprawl Masquerading as "Development" and "Progress"
Let's stop stupid once and for all when it comes to retail development! I've suggested at various times and to various people that we need to establish some laws to protect citizens from poor planning by the leadership of communities that ultimately result in urban sprawl--eventual eyesores that are environmentally unsound and even dangerous spaces which deteriorate for years on our urban landscape. Frankly, it may not be until we make it too expensive for some people to stop persisting in stupid before they will stop. Again, I know it's difficult to predict trends and that is where 1) insurance or some type of law may be in order to protect the general public from situations such as urban blight--buildings sitting empty for years while those who own them get to use them for tax write offs and the public gets an eyesore--hardly a fair exchange by any standard. And 2) We need better, more ecologically sound designs and design considerations from the builders and developers. For example, any commercial building constructed today with an asphalt or concrete parking area should not be allowed. Environmental remediation of such construction is cost prohibitive. We've known that for at least 30 years. It's time to apply that knowledge. We need to stop retail sprawl. Saturated retail markets bring deterioration and decay. It's all so predictable. Think about it: Sprawl rarely brings about a net increase in economic growth. Instead of real growth, there is simply displacement of economic activity. This triggers a whole cycle of deterioration in older communities. Did you ever wonder what happened to South Garland, for example? You can chalk it up to retail sprawl. To put this in another local perspective, we don't have a growth in retail business at Firewheel. What we have is a displacement of economic activity from Collin Creek Mall and the shopping center at Plano Road/Beltline and perhaps other shopping centers in the area. We need to be paying more attention to 1) Job training and education 2) job creation 3) creating new and real markets 4) increasing the potential offered by plant-based raw materials, in other words, actually creating new products--not introducing the same chain stores into a different area. Perhaps another appropriate analogy might be "putting a different shade of lipstick on the same pig." When a new retail center opens within a few miles of another one, what happens is predictable: One by one most of the chain stores in the older center will move to the new, bright shiny "different" retail center and close their doors in the older center. I've observed it locally many times. For example, it was only a few months after Firewheel Shopping Center opened its Barnes and Noble that the one located in the older mall at the corner of Plano Road and Beltline closed its doors and the deterioration of that retail center began in earnest. Today that older center is a shell of its former self. If you have lived in Garland for at least 10 years, you know this is true. Also "what is good" or "what makes business sense" for globally based businesses is often not in sync for what is good for local economies. There are many things that can change this situation but the over all solution is a focus on L-O-C-A-L. Main Street needs to lessen its dependence on big box chains and develop local businesses that are truly new and are designed to serve the local population--not a global market. it is also important to the economic stability of the local economy that these businesses be locally held. This is the only way to successfully anchor a local economy. I've been preaching this for 15 years as have other people, but I'm not sure the message has gotten across to the leadership of communities. URBAN AGRICULTURE IS ONE OF THE BEST WAYS TO STIMULATE A LOCAL ECONOMY--perhaps the only sustainable way. Where many small local businesses fail is in trying to imitate the big box chains and/or in aiming to grow into one. Urban agriculture can become a huge local force within communities. By selecting the appropriate crops to grow within the local urban environment, people can create their own raw materials for creating products. The best types of products are 1) those that are consumed (thus the need to purchase again) 2) those that are considered "essential" and 3) those made from raw materials obtained locally. Nothing fits the bill better for this than agricultural products. This is not a plan to add to the urban retail sprawl. If we are not careful, urban development will become just another example of shuffling deck chairs on the Titanic of our local economy. We will make the full circle of retail development and the big chains will abandon the suburbs and return home to our downtown areas. Walkable Main Street- Garland Texas is a different type of development. Within this existing mixed-use area of retail/commercial/vacant lots it proposes an urban farm of about three acres, clusters of smaller homes that are designed to be aesthetically appealing and yet affordable, makerspaces that encourage development of creative new products and new ways of doing things, support for industrial/commercial businesses already in the area, connectivity of this entire area (including the existing industrial/commercial businesses) to downtown Garland and its businesses and urban residents. Walkable Main Street is indeed, a new way to structure the local economy in the direction of success for everyone. For more information on Walkable Main Street, visit Loving Garland Green.